The Focal brand is a cornerstone of the Ralph’s Radio business philosophy. For more than 35 years, Focal has developed innovative home and car audio solutions. With perhaps the widest selection of speaker solutions in the industry, there’s a Focal solution for almost every vehicle and at every price point. Combining flagship technologies from its revered Utopia home speaker lines, Focal’s Elite series of products offers discerning listeners a memorable musical experience. The Utopia Be line includes the reference Ultima three-way system as well as four models of Utopia speakers and three models of subwoofers. Beryllium tweeter diaphragms provide detailed performance that combines beautifully with the exotic composite W cone of the woofers and subwoofers. The K2 Power Series is what made Focal the name it is. The instantly recognizable yellow speaker cones and the new M-shaped aramid fiber tweeter are found in seven component and coaxial speaker sets. The new 10- and 12-inch subwoofers in the K2 Power line share the same technologies to produce deep bass response with impact. Starting with the Expert series, these speakers and subwoofers extend the composite design philosophies of K2 Power and Utopia with a unique flax cone for natural and detailed sound reproduction. Each set of Expert speakers includes processed aluminum and magnesium inverted dome tweeters and high-power passive crossover networks. The Expert series continues with its Polyglass cone speakers and subwoofers. Polyglass cones provide an excellent balance of damping and rigidity with great accuracy and detail. The inverted TNP tweeter can be surface- or flush-mounted to suit each application. The Access series includes many OEM upgrade speaker sizes, including 5×7 and 6×9, and coaxials from 4 to 6.5 inches. The dual fiberglass structure cones provide that unmistakable Focal sound at surprisingly affordable prices. 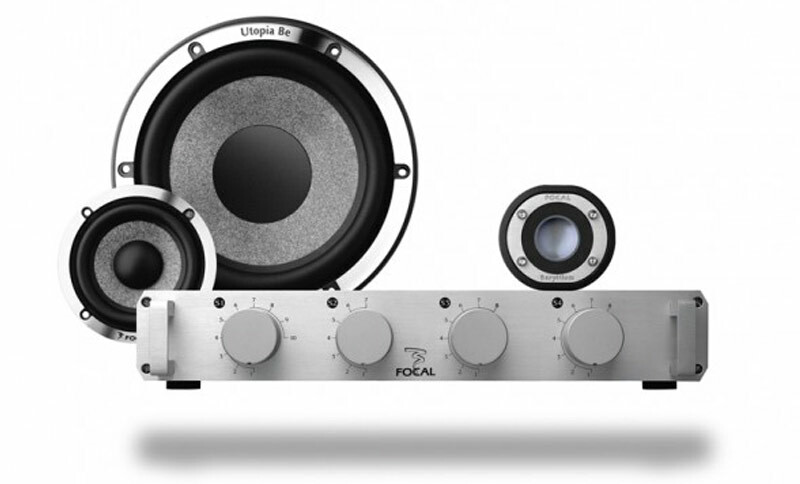 Auditor is the entry-level series from Focal, but offers great performance and value. The series includes five coaxial solutions, two component sets and 10- and 12-inch subwoofers. Technologies like the iconic inverted tweeter dome extend Focal’s reputation for performance. Designed to maximize the performance of a factory source unit or amplifier, the Integration series of speakers provides efficiency and installation flexibility that few can match. Focal’s Plug & Play kits for BMW, Volkswagen and Toyota vehicles offer an easy, made-to-measure solution that sounds amazing for these popular applications. Ralph’s Radio offers several products in the Focal amplifier series. The ultra-compact FD series amplifiers allow us to conceal amazing performance in surprisingly small spaces. The new FPX series of amps offers great value and higher power levels for more impact and emotion in your audio system. With nearly 100 speaker solutions available, there’s a Focal speaker for virtually every application and every price point. Visit our Vancouver or Victoria locations to experience how we can upgrade your car, truck or SUV with Focal speakers, subwoofers and amplifiers. If you have any questions about Focal or any of the products or services we offer, send us an e-mail using our online contact form.